Hold on tight during the grand finale of world-famous Studio Tour’s Fast & Furious – Supercharged! Join the Minions for a fun and exciting time with the Despicable Me Minion Mayhem! Get the ultimate Hollywood experience and step into the world of movies in Universal Studios Hollywood, the most famous Universal Studios theme park location in the world. 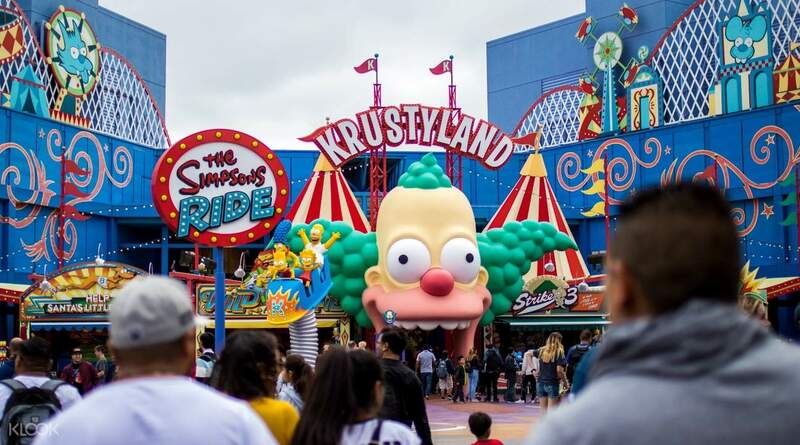 See the mindblowing worlds that were once only seen on the screen by spending an entire day living within a myriad of thrill rides, shows, and attractions inside the theme park. Go on a tour of the famous studios and prepare to get your hair blown back in Fast & Furious – Supercharged, the Studio Tour's thrilling finale. Have a showdown with Kong himself in King Kong 360 3D, created by famed director Peter Jackson, for an unforgettably intense 3D experience. 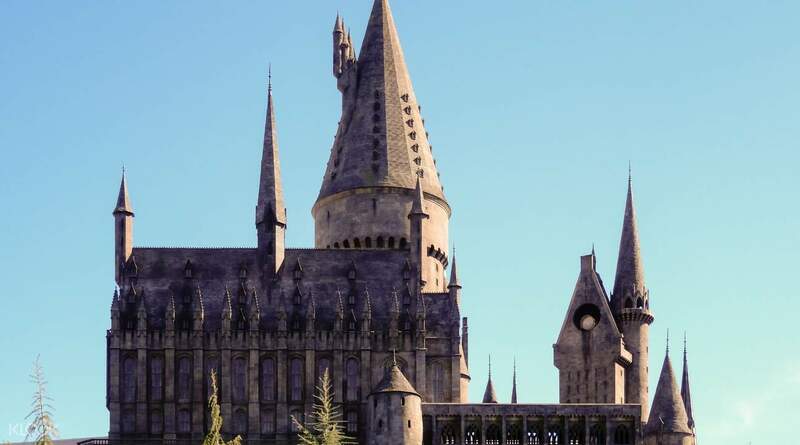 Potterheads everywhere will make the pilgrimage to The Wizarding World of Harry Potter where you can explore Hogwarts itself and even go shopping in Hogsmeade like a real Hogwarts student! 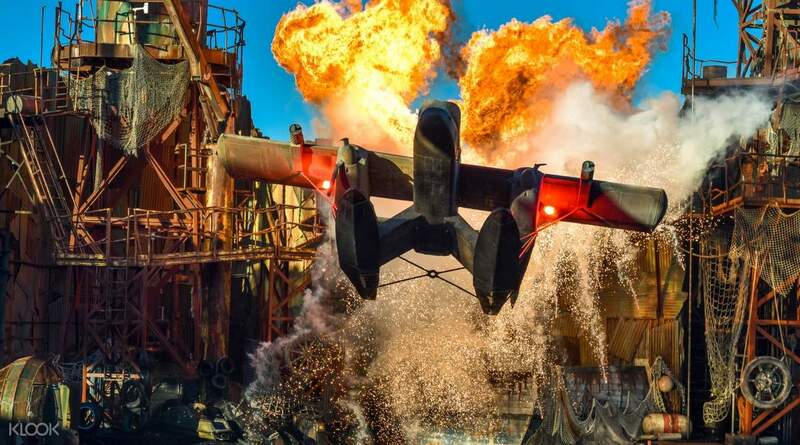 It's an action packed adventure inside Transformers: The Ride 3D, and you'll get washed away by WaterWorld, the park's best rated show. 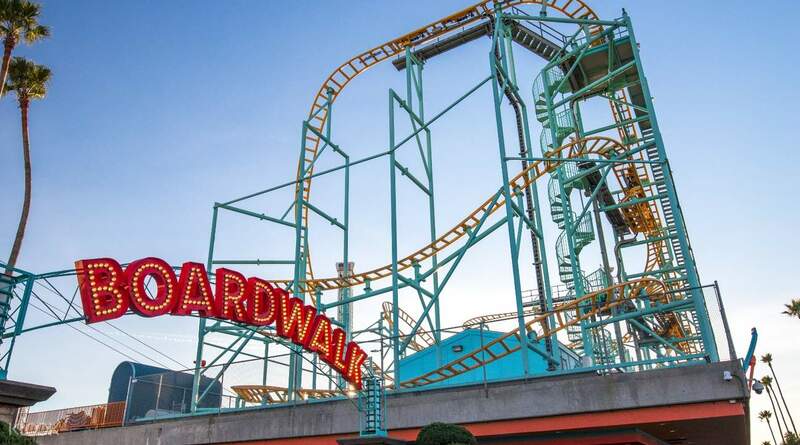 Also located inside the park are some of Los Angeles' best shops and restaurants, perfect for those needing to recharge or looking for memorable souvenirs after a day full of fun. All of these amazing worlds and attractions are waiting for you in Universal Studios Hollywood! See where Hollywood movies are made on the legendary Studio Tour! Be caught under the spell of the Wizarding World and unleash the magic by visiting Hogwarts Castle! Need a ride? 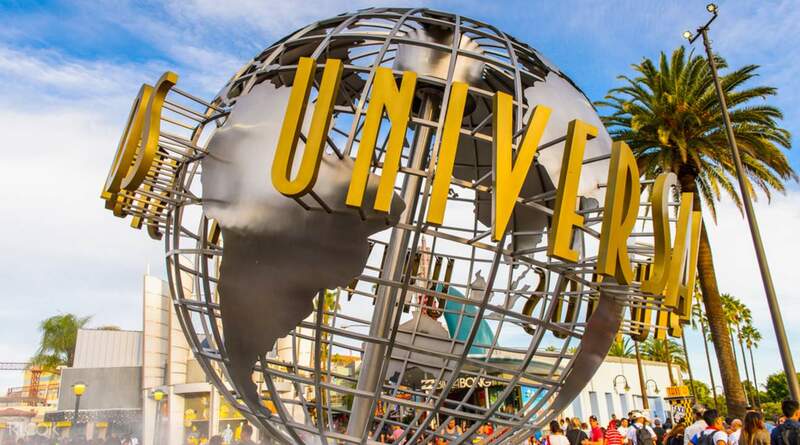 Check out the Shared Coach Transfers between Anaheim and Universal Studios Hollywood™! We had so much fun in Disney Adventure Park. It's so different than the usual Disneyland. Many new games and they are so excited. Highly recommend to buy tickets by Klook in advance to get into the park without queuing. We had so much fun in Disney Adventure Park. It's so different than the usual Disneyland. Many new games and they are so excited. Highly recommend to buy tickets by Klook in advance to get into the park without queuing. This was the second time going to Universal and in the span of four years it felt like it was my first time going there. Seeing how my family enjoyed the tour around the Lot was amazing, my favourite part one was seeing Hogwarts come to life because that wasn’t there when I went the first time. It was such a great experience. This was the second time going to Universal and in the span of four years it felt like it was my first time going there. Seeing how my family enjoyed the tour around the Lot was amazing, my favourite part one was seeing Hogwarts come to life because that wasn’t there when I went the first time. It was such a great experience. Booking with Klook was fast and easy I booked my ticket on the same day that we went. I used my points and it really helped me. I also liked the fact that I dont need to print any ticket everything's on my phone. Booking with Klook was fast and easy I booked my ticket on the same day that we went. I used my points and it really helped me. I also liked the fact that I dont need to print any ticket everything's on my phone. Universal Studios Hollywood was pretty crowded when we went there last December 26,2018, but having the Entrance Ticket bought thru Klook was an ease coz we didn't need to go thru long lines with the crowd. We just presented the printed Vouchers.3rd time to use Klook services. Universal Studios Hollywood was pretty crowded when we went there last December 26,2018, but having the Entrance Ticket bought thru Klook was an ease coz we didn't need to go thru long lines with the crowd. We just presented the printed Vouchers.3rd time to use Klook services. Amazing price through Klook! Very convenient! I bought the ticket just a day before and received them immediately after. It was a wonderful theme for me and my family. It will be amazing if there are some deals included for stuff in the park. Amazing price through Klook! Very convenient! I bought the ticket just a day before and received them immediately after. It was a wonderful theme for me and my family. It will be amazing if there are some deals included for stuff in the park. Really great theme park. We went on a day with less people so we really got to enjoy the attractions. Jurassic Park was closed, unfortunately, but we still got to meet Blue. One of my favorite areas was Springfield. We got Duff Beer at Moe's, went to Kwik-E-Mart, had tacos at Bumblebee Man's Food Truck, and even met Homer, Marge, Bart, and Lisa. Would definitely go back. Really great theme park. We went on a day with less people so we really got to enjoy the attractions. Jurassic Park was closed, unfortunately, but we still got to meet Blue. One of my favorite areas was Springfield. We got Duff Beer at Moe's, went to Kwik-E-Mart, had tacos at Bumblebee Man's Food Truck, and even met Homer, Marge, Bart, and Lisa. Would definitely go back. Universal Studio did upgrade alot of their attractions. The best must see for me is the studio tour and the harry potter. Its amazing how they created the visual effects of the rides. Eventhough most of the the attractions are in 3D it was quite nice too. Kids enjoyed them. Dont forget to check our harry potter. Its just unbelievable how they made the place. Compared to singapore and japan, it looks smaller the me, but the rides were different, better maybe.. Must see when in LA and looking for other place to bring kids aside from Disneyland. Universal Studio did upgrade alot of their attractions. The best must see for me is the studio tour and the harry potter. Its amazing how they created the visual effects of the rides. Eventhough most of the the attractions are in 3D it was quite nice too. Kids enjoyed them. Dont forget to check our harry potter. Its just unbelievable how they made the place. Compared to singapore and japan, it looks smaller the me, but the rides were different, better maybe.. Must see when in LA and looking for other place to bring kids aside from Disneyland.